With universe-shaping expectations for the one-two punch of Batman v Superman and Justice League, it was Wonder Woman that broke out with audiences to the tune of $821 million worldwide and became the instant pillar of the DC Comics’ cinematic future. 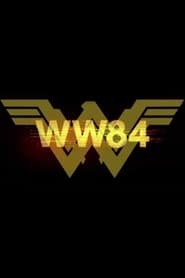 A sequel, now known as Wonder Woman 1984, was almost immediately put into production, with star Gal Gadot and director Patty Jenkins returning in their pivotal roles. While the San Diego Comic-Con hype was mostly devoted to the upcoming Aquaman and Shazam, Warner Bros. Pictures couldn’t help but tease a little of what fans can expect from the second Wonder Woman movie, which costars comedian Kristin Wiig as the feline villain Cheetah. The existence of Wonder Woman 1984 poses a number of burning question: how does the movie bring Diana back to a world that, 30 years in the future, is unaware of the heroine? How will Steve Rogers come back to life after going down with his plane in the first movie? How will Wiig’s TKNAME transform into a part-woman, part-cheetah superhero-killing machine? The footage was low on spoilers — the movie’s still early in production — but Jenkins felt like she needed to show the Hall H crowd something. The sizzle reel, shown exclusively at SDCC, was edited to give the audience a taste of the world. First, we see Diana in her uniform, saving a young black girl at a shopping mall from two gun-carrying goons. She crushes the guns, pushes the girl out of the way, sending her into two giant stuffed bears, then lassos the two men and jumps off the second floor. The colours are bright, the action was tough yet mesmerizing (the lasso, in full slow-motion, looks gorgeous), and even though Tiffany wasn’t serenading the scene in her usual 1980s-mall-tour mode, the energy was high.